This book plugs an important gap in Scale and Arpeggio Resources, and addresses another one in the theoretical literature on scales. For in that book, and in theory, we always expect a scale to have a root note; yet, surprisingly, sometimes they don't -- not just in the abstract realms of high theory but in real-life music-making. I call these "hypermodes". I've posted about this phenomenon on the blog here, but this PDF pulls all the information together into a practical reference. The opening chapter gives a very brief account of the theory and suggests some ways to work with these "new" objects. 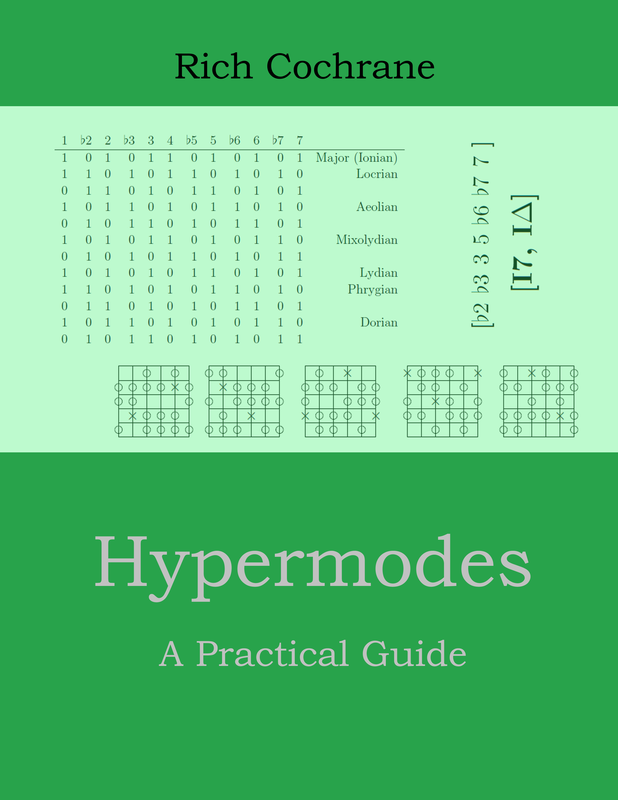 The bulk of the book is a set of chapters corresponding exactly to the chapters in Scale and Arpeggio Resources and adding the hypermodes to each modal group.